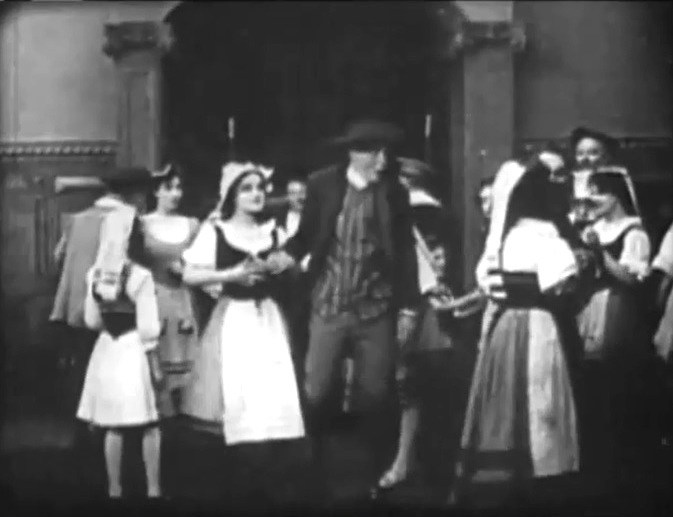 "The Violin Maker of Cremona" is a short drama directed by D. W. Griffith. This film illustrates the work of Arthur V. Johnson and Billy Bitzer, stars of Silent Hall of Fame. Arthur V. Johnson plays a party guest. The annual contest for the best violin turns serious when the winner is promised the hand of the town's beauty. Mary Pickford talks to David Miles in "The Violin Maker of Cremona" (1909), directed by D. W. Griffith, cinematographer Billy Bitzer. Arthur V. Johnson shows up at the party with a maid in "The Violin Maker of Cremona" (1909), directed by D. W. Griffith, cinematographer Billy Bitzer. 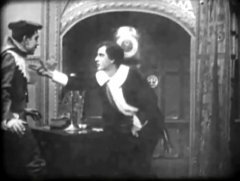 Owen Moore and David Miles have an argument in "The Violin Maker of Cremona" (1909), directed by D. W. Griffith, cinematographer Billy Bitzer.